I would like to truly and sincerely thank Sherry M. Hood M.H., CHt. for her commitment to my learning. intuition told me that this was where I needed to be and it was bang on again. date curriculum and the fact that she brings in guest clients every day made my choice crystal-clear. qualified clinical hypnotherapist with no fear in dealing with clients. mentor. I know I will. knowledge, wisdom and excellent skills in healing with Hypnotherapy. transformation in my career, and in my life. have vastly contributed to my confidence and success! and it showed in the quality and clarity of her answers on every possible aspect of hypnotherapy. this high-quality, high-integrity course is a must for any serious hypnotherapy student. entirely prepared to use the techniques immediately. As a human being and teacher, Sherry Hood is a gift to the world. The Pacific Institute of Advanced Hypnotherapy provides an excellent course. patience and reassurance in her teaching . when it comes to building confidence as a new practitioner. so proud to call her my mentor, my colleague and a friend. I have taken the complete course of Hypnotist,Master Hypnotist and Clinical Hypnotherapist. the extra support in areas you need. school teacher that went that extra mile for you. program and more importantly to Sherry M. Hood, founder and head instructor. and professionalism earned my instant respect and it has only grown over time. field, yet she exhibits such a unique modesty. She is a master and a legacy in her profession. in my career as a Clinical Hypnotherapist, lending her support and insight whenever I need it. 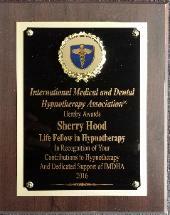 hypnotherapy and I thank you Sherry for all you have done for me.